The Johnny Morris’ Wonders of Wildlife National Museum & Aquarium the largest, most immersive wildlife attraction in the world is right here in Missouri. The Johnny Morris’ Wonders of Wildlife National Museum & Aquarium is located inside the Springfield Bass Pro Shop and is perfect for visitors of all ages. "Aww Mom, did you really say that we had to go to the Bass Pro Shop on our girls weekend?" My sweet, but sassy little gal was not sure about crashing the "hunting store" on her girls weekend. 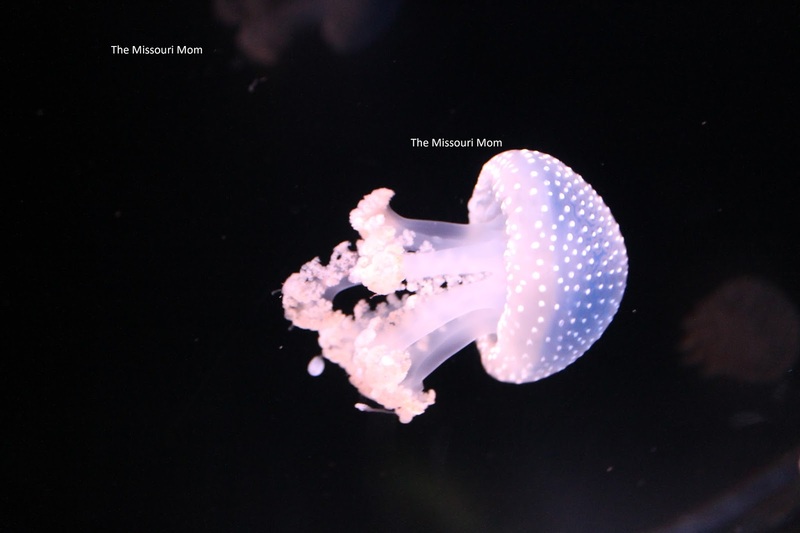 Until we walked inside the massive Johnny Morris’ Wonders of Wildlife National Museum & Aquarium in Springfield, Missouri - the next comment I got was "Mom this place is not like I thought it would be" - maybe Mom was right again. We started our adventure at the Johnny Morris’ Wonders of Wildlife National Museum & Aquarium inside the Wildlife Galleries. 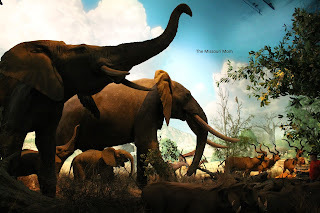 This was more than just a few painting on the wall, it was a history lesson mixed with lavish displays that look so life like that you thought you were really in the animals natural habitat and the animals were real. A walk on the artic side to meet few polar friends? Mixed with this life like exhibit of artic animals was a touch of history and lesson of how the Inuit people native to the Arctic regions of North America lived. While this piece of clothing was sure to be warm, I am not sure it was my style. Throughout the Johnny Morris’ Wonders of Wildlife National Museum & Aquarium's wildlife gallery we learned about animals and lands from all over the world, the history of hunting, the importance of conservation, and individuals that played an important roll in the sport of hunting and conservation. After our hour tour of the wildlife gallery we entered the aquarium portion of the tour - our first steps into the aquarium we weren't sure if we had left Springfield, Missouri and entered the runways of LasVegas - we may have had to stand and pose on the steps a few times. 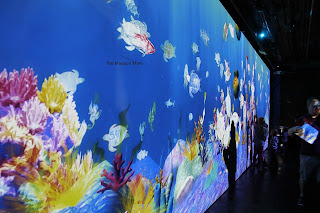 Like the art gallery section of the tour, the aquarium is absolutely gorgeous, yet acceptable for all ages. 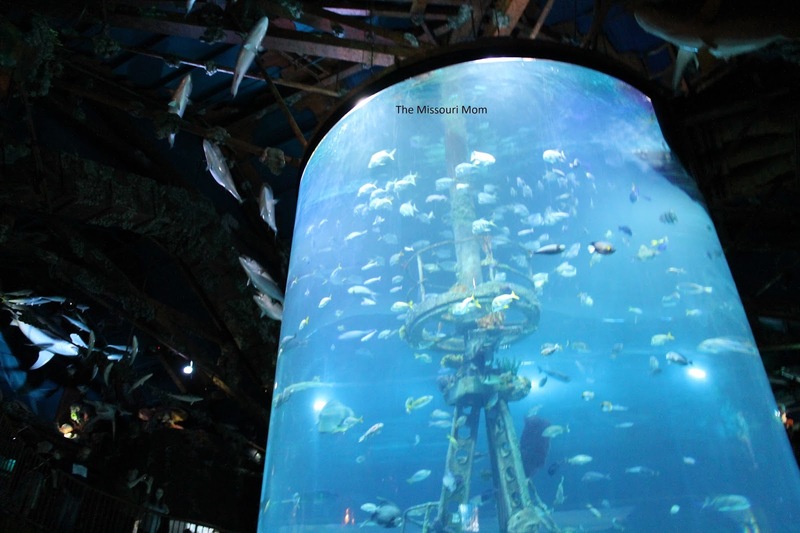 The aquarium leaves nothing to imagine, except maybe how did they build an aquarium this big? AND make it see through? Like the wildlife galleries, each area of the aquarium has a theme, you visit fresh water areas, swamps, and sea life. 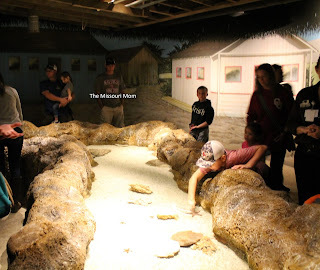 The entire area, minus the area dedicated to the fishing awards, which my girls zoomed through quickly, is very interactive - it will mesmerize kids of all ages! The Jellyfish might have been our favorite. In fact, I am not even sure we knew these color of Jellyfish even existed! 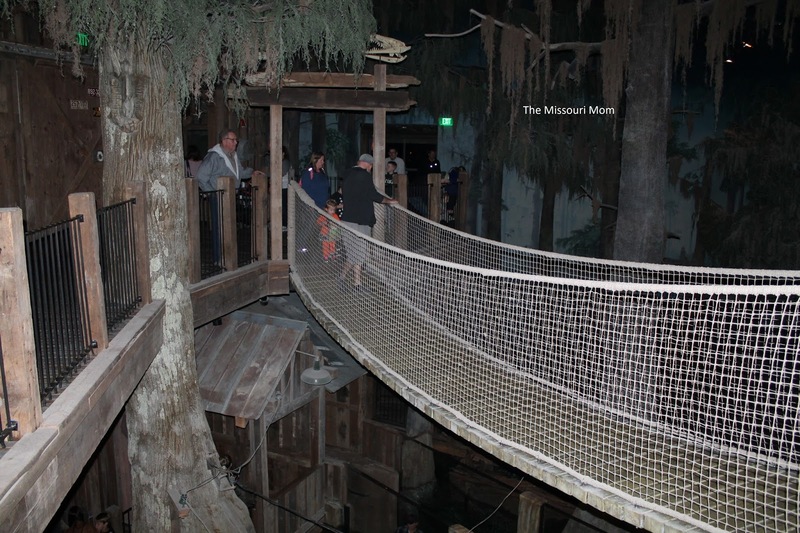 The swamp area was also a favorite, but the girls were not huge fans of the swinging bridge over the alligator pit - I did not know they could move as fast as they did across the bridge! Even though the alligators looked semi-friendly. 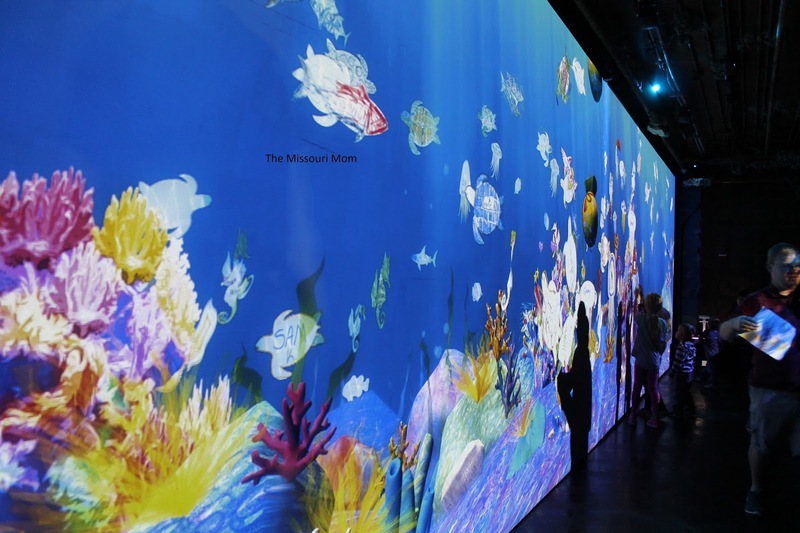 The touch-table gives visitors a chance to touch sea life they may never have been able to get close to before. At the very end of our tour we got a nice surprise and met this guy! He was much cuter through the glass than he would have been meeting face to face in the wild! 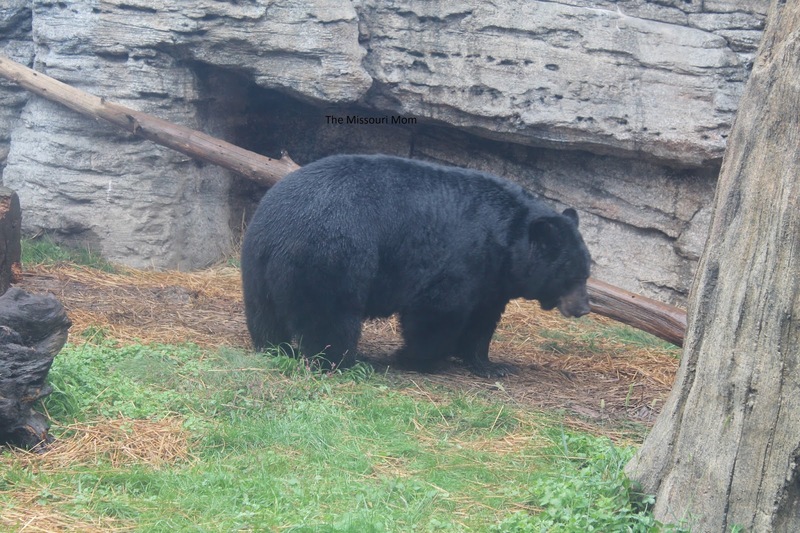 A few things you should know before going to the Johnny Morris’ Wonders of Wildlife National Museum & Aquarium. The Johnny Morris’ Wonders of Wildlife National Museum & Aquarium does have an entrance fee, you can choose to visit either the museum, the aquarium, or buy a combo ticket and visit both at once. You need to wear walking shoes, while it is indoor the facility is also 350,000 square feet with 1.4 miles of trails - that is just a tad bit of walking! There is a snack area, gift shop, and plenty of restrooms throughout the facility. 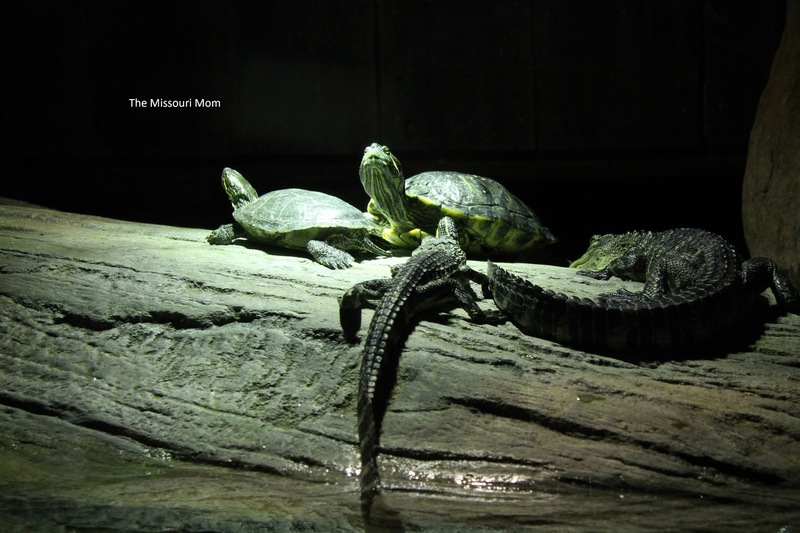 The Johnny Morris’ Wonders of Wildlife National Museum & Aquarium is wheelchair and stroller friendly - where needing to move from floor to floor, elevators are available. Plan to spend several hours, you could zip through in 2 hours, but you would miss so much! To truly enjoy the Johnny Morris’ Wonders of Wildlife National Museum & Aquarium plan to spend 4 hours or more especially if visiting with kids. More Pictures of The Johnny Morris’ Wonders of Wildlife National Museum & Aquarium.